What should I post on social media? Do you have any ideas? I’m also trying to find someone who can help me with posts. Before answering these questions, I’d like to make one thing clear first. There is no one ultimate winning strategy for social media content that would work for everyone. Some people engage their audience by posting funny pictures, others prefer to make it strictly business. Whatever way you choose, I suggest being genuine. I know words like “be yourself” sound cheesy, but once you accept where you currently are it’ll be much easier than pretending to be someone’s else. Music producers are different from corporate companies in a way that our communication is much more personal. Behind every alias and track is a real human being, and people feel that too. Nevertheless, I know where this problem comes from. Look at any successful artist’s social feed and most of the time you’ll see either his upcoming gig announcement or photos and videos from the past gigs. But what if you don’t have twenty gigs a month yet? And obviously you can’t upload a new track every week either, so “I don’t know what to post on social” can be a real issue. Making-of’s Show what you currently working on or tell how some of your previous works were made of. It always goes nicely, especially with the videos. Studio Demonstrate your workplace, gear, and tools you use. I find that this type of content attracts both listeners and producers. Mentions Did some credible DJ played your track? Have your track climbed at the top chart? Did you give an interview? Tell about it. Share Shout-outs to the other producers you enjoy. Share their music, give them a credit, tell why you like that particular track or song. Trivia Some episodes of your daily life. Remember that something that seems ordinary to you as a producer might be interesting from the fan’s perspective. News Official announcement such as signing on a record label, release dates, new track’s preview; milestones in your career. Hashtags Share content on specific day of the week with a trendy hashtags, like #ThrowBackThursday or #FridayFunday. But you can go further and create your own sort of series of content. For example, I host a monthly radio show, run a weekly advice blog, and plus occasionally share “Track of the week”, “Weekend readings” and other blogs. It helps to fill the gap between releases as so I always have some content to share. And people know that too so they have a reason to keep an eye on my updates. As for you trying to find someone who could post on your behalf, read the advice on artist’s manager if you haven’t yet because it’s a quite similar story. If you have no idea what to post on Facebook, how do you think someone else would know it unless you expect some generic phrases and producer’s memes? It might be a good idea to put social media management on someone’s else shoulders later, but I wouldn’t recommend doing that in the beginning because that’s how the learning curve goes, you have to get that experience from the first hand before hiring someone. I also highly suggest checking out my experience of managing social media using Amplir. If you have the right tools and know how to use them, turns out, managing social media isn’t that hard and time-consuming. In fact, you can have several active social accounts just by spending hour a week if you work efficiently, so time is no excuse even for busiest persons. 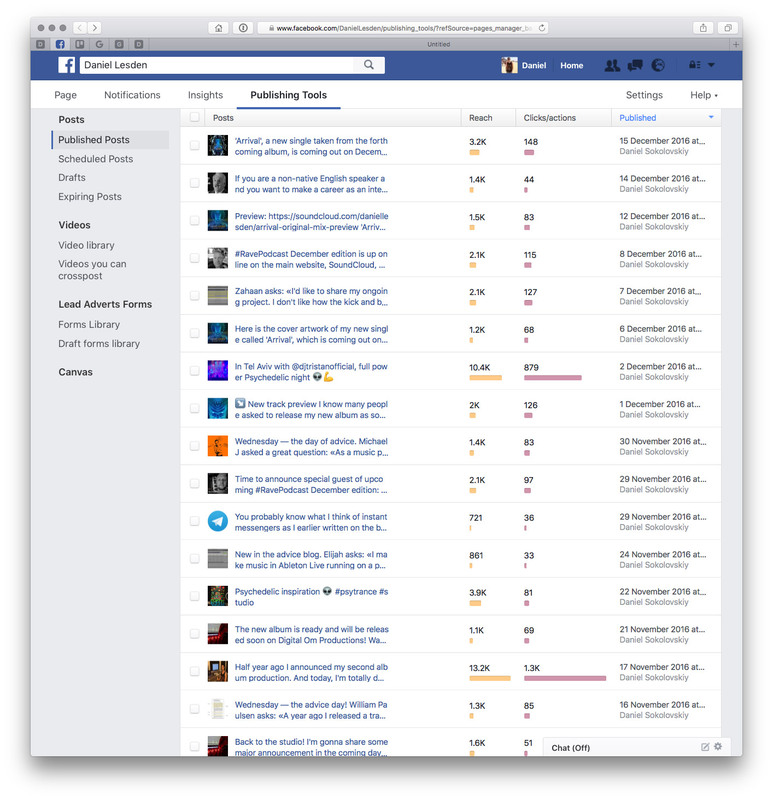 Typically, Facebook pages occupy the primary slot among social networks for public figures and brands, gathering all news as a central hub. I’m an active Facebook user since 2011, but the more I use it, the less I like it. As a DJ and music producer, I’m always looking for new ways of improving communication with the audience so followers could get my latest releases, tours, blogs, and other news. This search led me to Telegram channels, and today I’d like to share what I’ve learned about it. It’s a fast and free messaging app founded in 2013. It has a mobile and desktop clients and a cloud-based seamless sync between them. It’s ad-free and will remain forever free according to founders. It has a lot of powerful features like bots, secret chats, groups, channels, and more. By the February 2016 (a year ago), it has 100,000,000 monthly active users and 350,000 new users sign up each day, delivering 15 billion messages daily. I’ve been using Telegram as a messenger for quite some time now, but started my own channel just about a month ago. Channels are a tool for broadcasting public messages to large audiences, similarly like you do on Twitter. A sort of blogs within the messaging app. A channel has as a public username so you can search it within the app or access via browser by the direct link, like telegram.me/daniellesden. Basically, it looks like just one of the chats in the app. You can share text messages, images, links, and even audio and video that playbacks using a built-in player. By default, when you share a post, your followers will see a push notification. You can also send “silent” messages by clicking on the ring icon, this way they won’t receive notifications but rather just see an unread counter of your channel in the chats list, this is a sort of “gentle” notification. And since all broadcasts organized by chats, you don’t need to compete for the users’ attention in their newsfeed using cats pictures — they will see your messages when they want to. One noticeable difference with Twitter, Instagram, or any other social media is a lack of interaction. There is literally no way people can “like” or comment on your posts, at least for now. The only thing that makes you sure you’re not writing into the empty void is the views counter on the right side of each of your post. Is it a good thing? Let’s see. I have a very humble experience with Telegram channels as I’m using it only a month now, but here is what I’ve learned so far: per follower, Telegram posts reach much more audience than in any other social media. I think since it’s a messaging app, people treat channels like a one-on-one conversation and hence trust the authors. For example, if on Facebook people can “Like” your page just to show some support, here on Telegram people follow channels because they really want to read it. Just to give some numbers to compare with, let’s take a look at my Facebook page which has about 14700 followers. You’ll instantly notice these two quite nicely performed posts with 10k and 13k audience reach and probably think “huh, not bad!”. Well, the truth is such spikes happen very rarely, and besides, we know that Facebook artificially gives your native videos higher priority in the users newsfeed in order to compete with YouTube videos. If you look at the other posts, they typically reach in between 1–3k, let’s count it as 2k on average. That only about 13% from the total amount of followers. Just think about it a for moment: you spend a huge amount of time (and sometimes money, too) on getting a solid fanbase on Facebook, but once it’s time to actually speak to your audience — let’s say, you’re announcing a new album or a gig — only 13% on your followers will see your important announcement. How is that? Well, It seems that having no ability to “like” or comment motivates people to share your posts — this function is called forwarding here. And people actually do forward posts — to their friends, groups, and other public channels. Even those posts which under-perform still reach out about 50~80% of your followers, which is equally to the most top-performed posts on Facebook. Such broad audience reach isn’t unique to my channel. For example, take a look at the Telegram’s own news channel: they have 78k followers while their typical post reaches about 250–400 thousand people. That’s huge. 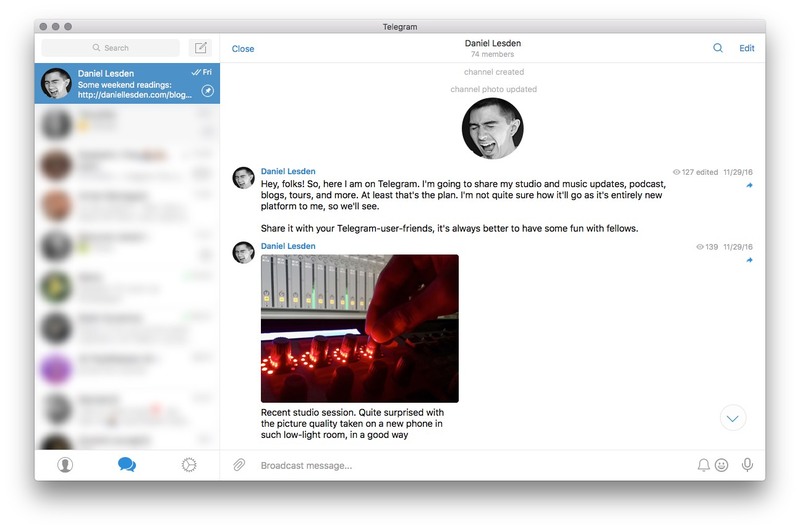 Frankly, I have no idea what Telegram will be like in few years. I also have no idea where to get the audience, I’m not even sure how most of these 74 followers I currently have found me in the first place. 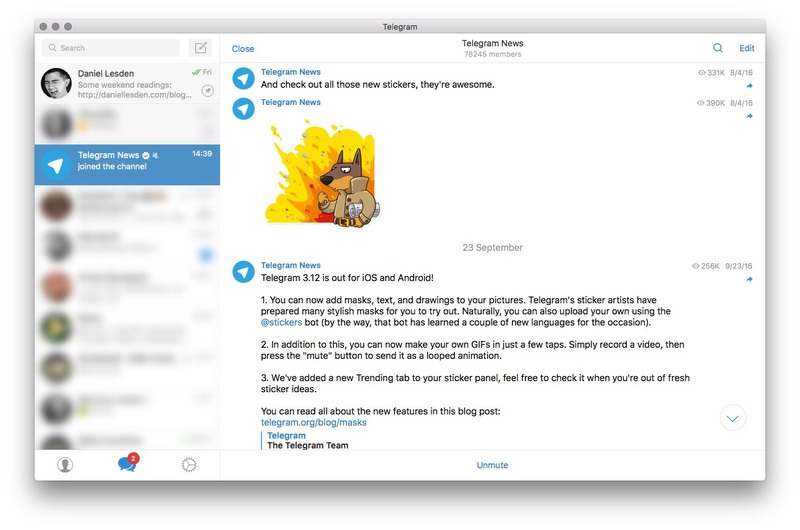 What I know, though, is that Telegram is certainly worth to try. 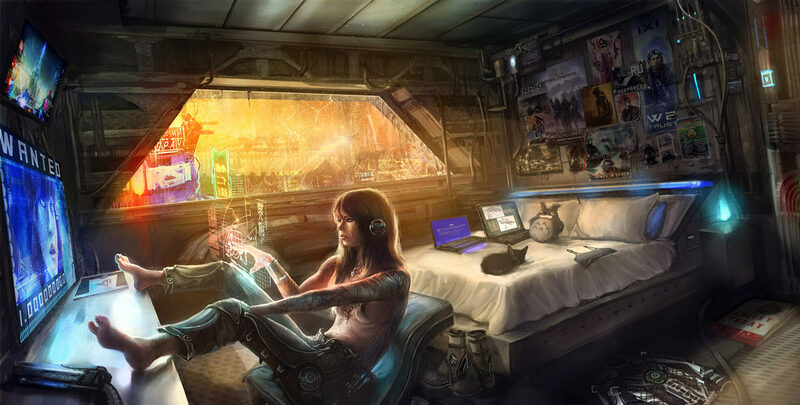 On cover image: futuristic art from Telegram.org. All numbers are taken from the moment of December, 15. Last month I’ve been using Amplifr for social media analytics, and turns out I have 20% of the social traffic coming from Telegram. But taking into account that currently my Telegram channel has 10—100 times fewer followers than my other social accounts, it actually means that Telegram has the highest click-rate per follower among all social networking services. What’s the best way to reach out some artists to ask for a collab or a remix? Should I seek out their private accounts to get a more personal talk or you’d suggest using official contact via their managers etc? Craig, I’d like to discuss the topic of “messengers vs. email” in general, regardless whether you want to reach out some artist to speak about remixing, or send a promo to a DJ, or send a demo to a record label. And obviously I can’t speak for everyone, so I’ll tell you about myself. Every time someone sends me a private message on Facebook, SoundCloud, HearThis, Google+, Twitter, Skype, VK, or Linkedin, one of the two things happens. Either I don’t see this at all because the service hides it from me, or I don’t have time to reply right now, as a result making this message lost forever. That’s the general problem of all instant messengers. They demand your attention here and now, and you never know for sure how long this chat will take especially when you see a message with nothing but a “Hi, how are you?”. I do chat on Facebook and Telegram occasionally, though, it’s rather an exception for very few persons. Also keep in mind that having all important conversation on Facebook or any other website is very risky. If your account gets stolen or blocked, you’ll lose access to all of your chats as well. If the person with whom you had a conversation with decided to remove his account, you’ll lose that chat as well (that happened to me once). That is why I have a principle: don’t rely on social networks. I can read a message and mark it as unread to reply back later without getting “read” status by the person on the other side, making him think I’ve read it and ignored. I can write a draft while offline and it’ll be sent automatically as soon as I get the internet. I can set a reminder to reply to that particular email using third-party apps like Wunderlist or Apple’s built-in Reminders. I can add inline pictures in the message body, and add a hidden recipient in BCC if needed. And at last but not least, I can flag, label, and organize messages by folders wherever I like. When you get a hundred incoming messages per day, email is the only realistic way of keeping them organized. All of these things make email a clear winner for business communication. Remember, time is the most valuable resource. So next time when you would like to send me a demo or just say hi, please drop me an email, I read every single one. 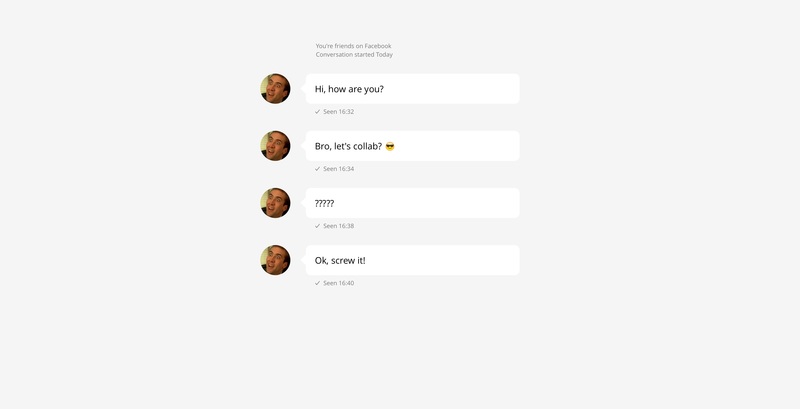 On cover image: a slightly exaggerated example of a typical conversation over instant messengers. 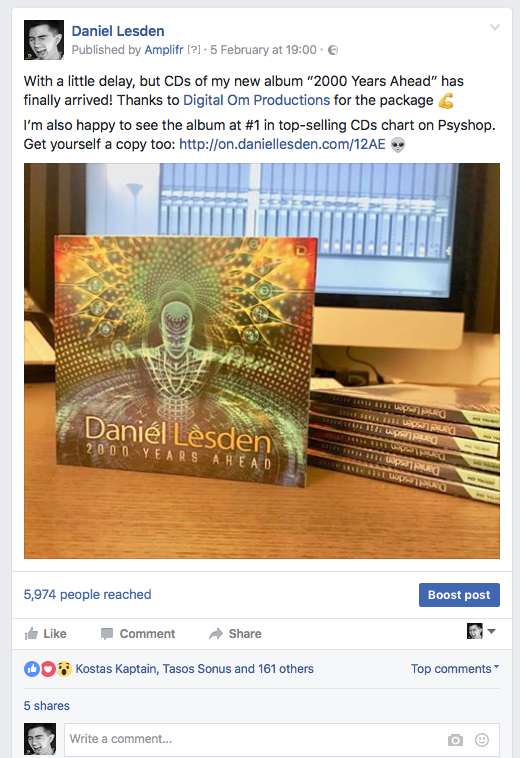 Can social media replace a personal website for a musician? 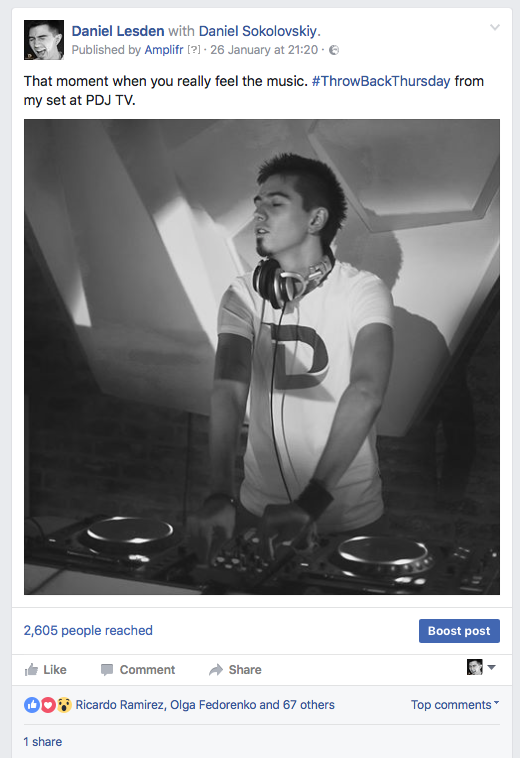 It looks like the majority of producers prefer to have a Facebook page rather than a website. Is it necessary to have a website at all? What is the best strategy on this matter? Indeed, for the last several years many artists moved their web space away from regular websites to social media. Facebook became a new main website, Twitter — a new blog, Instagram — a new photo album. And it’s so attractive. On social media, It is so easy to upload and manage your content. Plus, it’s way cheaper: creating a page cost nothing, and you no need to pay for hosting service and domain name. On top of that, all your audience is there! “Why on earth someone may want a regular website? We’re live in the 21st century!” — this is something that I hear all the time. However, there are two important things that usually people forget to mention. You do not own the content on social websites. All your posts, photos, videos, music, blogs, and everything else are owned by the big companies. Basically, it means that your content can be deleted anytime just because it’s against someone’s policy, or because the company went bankrupt, or any other reason. In fact, these giant companies are like soap bubbles. Do you remember what happened to Myspace? That’s the lesson we’ve learned. Don’t solely rely on social media. You cannot organize the content. Simple question: can you find anything that you posted on a specific date two years ago? I can’t, seriously. Once you post something, it pops up in news feeds over a few days, and then it’s gone almost forever. Unlike of Facebook, you can organize your website whatever you like: make a structure, create sections, add tags, filter, search, and highlight important things. A small remark. I’ve noticed that website constructor services like Wix become more popular these days. Don’t fall into this trap: having a website using 3rd party service is no better than Facebook, it has exactly the same two downsides as described above. Yes, I have to admit that making a proper website isn’t cheap. Also creating a good website is just one side of things, but keeping it up to date throughout the years — this is where the real hard work comes in. Remember, all your posts are your time and your efforts. If you care about it and think your content is worth to ever get back to it again, I definitely recommend keeping it on your own website. Answering your question, I found the best strategy is to have all your important content on your own website, and link it to social media. This allows you to reach a broader audience, not risking and having everything under control. I won’t hide, this is exactly what I’m doing with this blog and my website in general, and it works pretty well. Hi, Daniel. I’ve been producing music for 10 years. I released a few tracks on different labels and got support from some DJs. However, I still haven’t gathered an audience around my project. I don’t know how to promote my music. This might be an obvious question, but what is the right strategy to do that? For example, I have a page on Facebook or Soundcloud and I want to get more followers. But I don’t know what is the best way to do that. Another question is concerning management of an artist. I heard, that many producers are hiring managers who can help them with promotion in different media. Where can I find this person and how the process of working with manager looks like? Thanks. Professional music producers are public persons. We need the audience, just as the film industry and theater. The problem is that not many music producers realize this simple fact: getting an audience is hard work, no less hard than the music production itself. 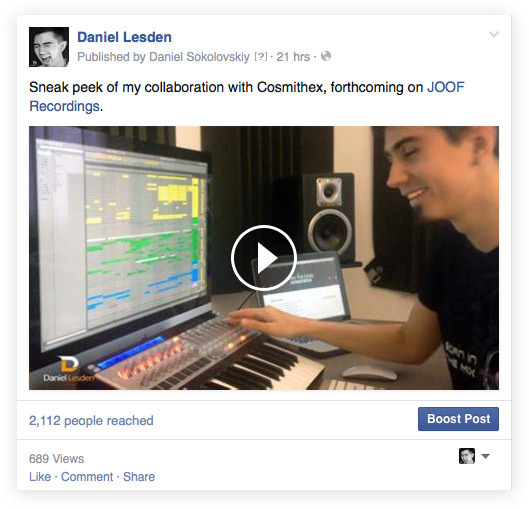 Facebook and Soundcloud are good platforms for promotion in general, but it’s kinda tricky. The Internet, and social networks in particular, forever changed the way how we communicate. Social media are amazing, whilst also causes another problem: many producers strive for the numbers on their social profiles, thinking it is will lead them to success. It’s nice to have a lot of followers, but it shouldn’t be a goal or measurement of your success as an artist. Don’t fall into this trap. Also, think of social networks as one of the tools, but not limited to it. There are many other ways for promoting. 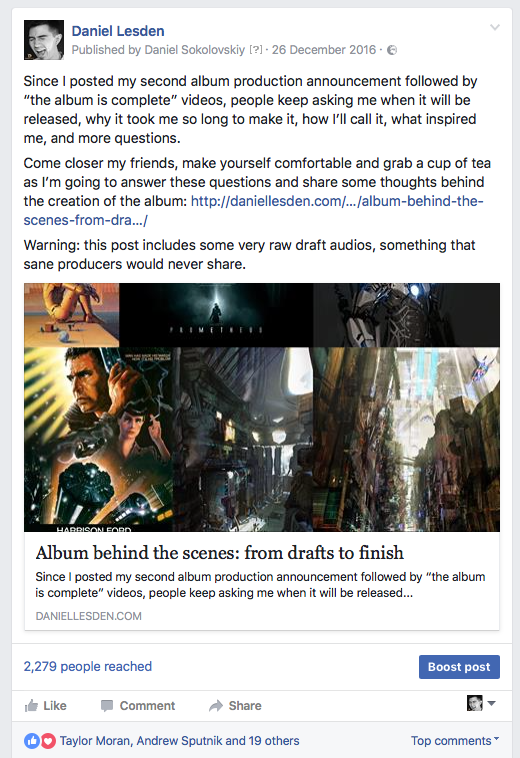 Your audience will grow along with your artist name, and Facebook is a nice place to gather them. But not for finding a new one, otherwise it’s a vicious circle. Write good, quality music. That’s the essential foundation. Release music on trusted record labels. They do not necessarily have to be big ones but rather have their own niche audience, which is obviously should be your audience, too. Get gigs. Gigs are probably the most effective thing in terms of promotion: your name is posted on events lineup, printed on flyers, you get more fans (the real ones, not just numbers in social profile) while playing, and more business connections at the venue as well. Get offline business connections with industry professionals, like DJ, musicians, party promoters and event organizers, press, and so on. I wouldn’t rely much on this, but it might help to open some locked doors. Make guest mix appearances. Many DJs host their own radio shows and usually have guest slots. Find those DJs with a similar audience to yours. By doing guest mixes, you increase your exposure. Start your own radio show or a podcast on iTunes, it’s relatively easy nowadays. Unlike of guest mixes, you probably won’t increase, but you’ll get loyal fans in a long-term perspective. Also, having own radio show will keep you in a good shape as a DJ. Like a fitness, just not for the body. Deal with a press. Make sure that your key releases and news are highlighted by bloggers, reviewers, and niche websites of your musical genre. Arrange an interviews, articles, and more publications. Arrange photo session to get quality press shots. Using it in press and social media, it could help your fans to associate your music with your identity. Consider pictures as part of your branding. Create a personal website and keep it up to date. 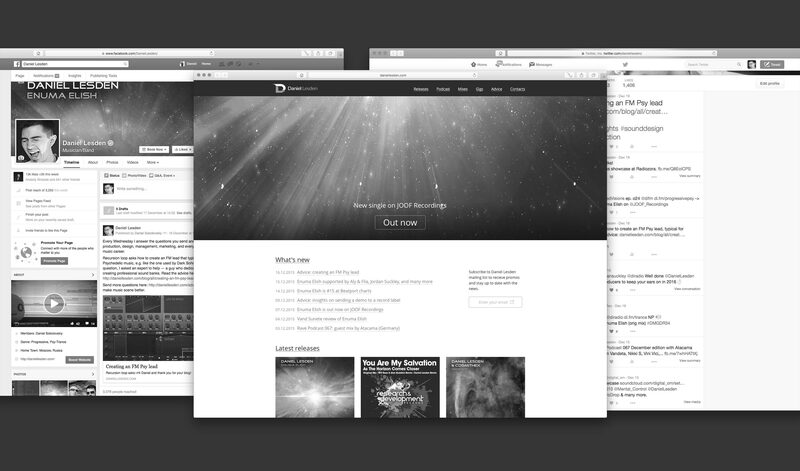 It’s good to have all information about your music easily accessible in one place. Don’t rely much on social networks on this. Send email newsletters. Emails are strong marketing tool which you shouldn’t underestimate. Make sure to put a noticeable form on your website, so you could gather email address from those who interested in your news and updates. At last but not least, use social networks. And the list can go on. As you can see, there are lot of work here need to be done. If you not doing some of these points, you clearly miss some part of the audience. Also, I want to clarify the last point, since you asked about Facebook: “to use” social networks is not the same as “to be there”, like a shadow of presence. You have to actually actively use it: share posts, reply to comments. Do it daily, or so. Yes, it’s very time-consuming process, but it pays off. Facebook has been designed to connect people, so here it is — the connection. You can instantly get feedback from a fan in different country, musicians of the past century could only dream about! So use this tool on its full power. As for the right strategy, and I’m afraid there is no “right” one. It’s all matter of personal choice and your personality. In general, I’d advise keeping in on the professional side of things. Numerous selfies and photos of your breakfast might be interesting to your friends (I bet not), but most likely not to your fans. 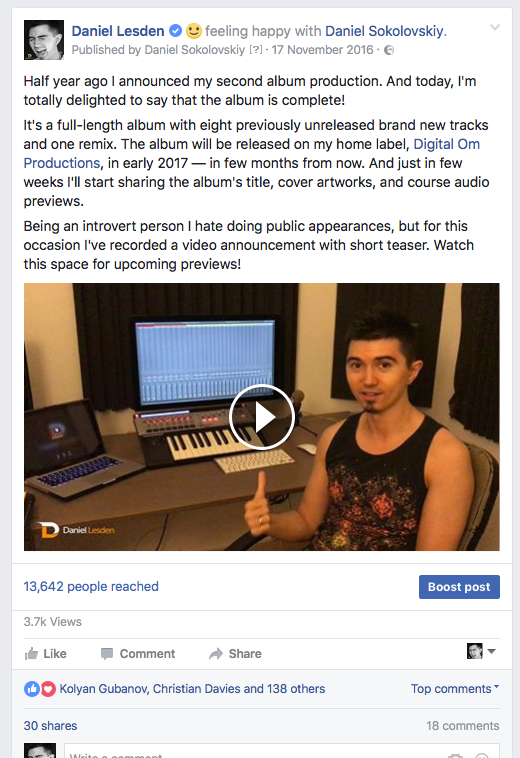 There is nothing wrong to say “please give a like”, or “please buy this track”, but repeated infinite numbers of times it looks pathetic. Pictures of cats, dogs, and internet memes might be annoying rather than funny. Instead, I’d recommend to share details of your production: from idea and draft, to “work in progress” and behind the scenes of the final result. Show people how hard you working on in pursuit of success. Even small details of your work, like upgrading a studio gear, or finding out a new trick, might catch huge attention from your fans — it is always nice to look at the inside world, at the “kitchen” of professionals. Remember, your music is what basically makes a connection. People love you for the music, not for the brown eyes, unless you are a pop star. So stay on topic, keep it in a professional manner, carry on with dignity. And most important, be yourself. As for the question regarding managers, perhaps, I’ll write about it next time. 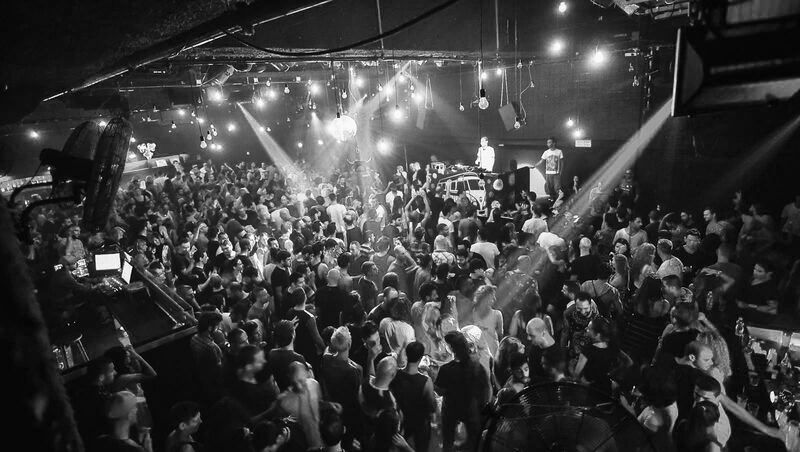 On cover image: Comfort 13 club, Tel Aviv. 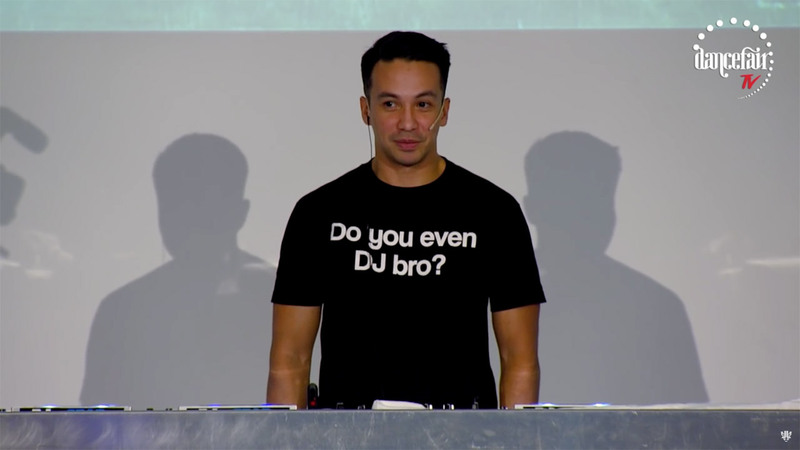 Laidback Luke – Seminar ‘Real DJ-ing’ @ Dancefair. Good points. Despite I don’t like the music Laidback Luke plays, to me he is one of the most respected DJ and seems like a nice person. I like that Luke compares DJ set with a deck of cards, pretty accurate. I laugh aloud at the moment at 56th minute (about warming up DJs). How To Create Record Scratching. Well done “how-to” by Tom Cosm. Recreate The Github Search Box. Pretty cool trick with sliding up search box on mouse focus. I was thinking to make a search box exactly the same way on my website. 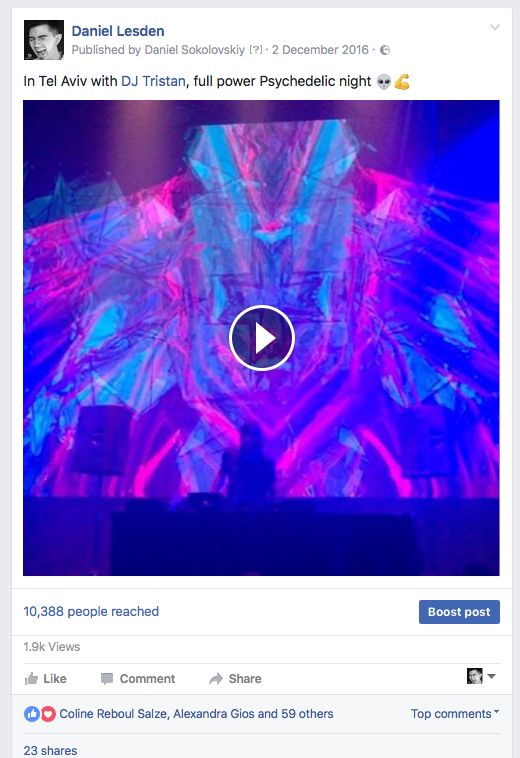 Facebook Pages’ Organic Reach Is Not Quite Dead. According to this study, Facebook posts reach only about 5-10% of your total followers. This analysis actually confirms my recent video experiment. Being an artist, I always looking for a better way to reach out my audience. I have a lot of things to say and show. I’ve read that popularity of video content on Facebook has grown significantly recently, and what’s most important — people like it even more than photos and text stories. I have never uploaded a Facebook video before, so yesterday I’ve decided to test it out on one of my old video. The result is quite surprised me. To understand the full picture, I’ll compare stats of YouTube video (uploaded 4 months ago and shared across all networks several times) with that Facebook video I uploaded yesterday. The video itself is exactly the same. Facebook has overtaken YouTube just for 1 day! Even less actually, 21 hours to be more precise. I’d be curious to compare these stats again in a 4 months. Furthermore, each shares got their own likes, for instance the post I shared through my personal page got another 32 likes on top of that 57. In fact, that video post has reached out 2112 people, which is about 16% of my total 13045 page followers. This is huge. Usually post reaching about 5~7% people, 10% if you’re lucky enough. I will post more videos for sure.